February Edition: Why Washington is "the Father of our Country"
Why Washington is "the Father of our Country"
Most of us will probably celebrate the holiday this week as part of a generic "Presidents' Day"-and we probably did so in the all-American way: We headed for the malls to shop the sales. But pause a moment and think of the impression that makes on our kids: Should we really be celebrating the birth of the Father of our Country by rushing out to buy half-price toasters and lawn mowers? If we want to instill in our children a deeper reverence for the ideals upon which our nation was founded, let's use occasions like this to teach them about the character of our Founders. In the case of Washington, we ought to understand that our first President was not only the Father of our Country, but also a man of profound Christian piety. Journey back with me 222 years to the terrible winter of 1777 at Valley Forge. The British had just captured Philadelphia, and the Continental Army was struggling to keep itself alive. Lacking food and clothing, the men were dying of exposure and starvation. Certain political leaders-many of them jealous of Washington-began to whisper that the general's cause was hopeless. But the men who served under Washington felt differently. As William Bennett writes in his book, Our Sacred Honor, "The brutal conditions of Valley Forge could not suppress a spirit of comity that arose among the officers and their men." These men were inspired to go on because of the moral example Washington provided. His ability to inspire through his character is illustrated by a story told by a Quaker farmer. Walking in the woods near Washington's headquarters, this farmer heard a human voice. The farmer happened upon General Washington, alone and on his knees in the snow. He was praying to God while tears ran down his cheeks. After witnessing this humble act of faith, the farmer returned home in great excitement. He told his wife that Washington would not only prevail, but would "work out a great salvation for America." This respect for Washington was a direct result of Washington's personal virtue, which was cultivated his entire life. As Bennett points out, "Washington wasn't born good. Only practice and habit made him so." The general was keenly aware of his faults, especially his temper, and from an early age, he worked at controlling this and other shortcomings. In today's "anything goes" culture, this intense striving after moral excellence is rare. But it's the reason Washington's men were willing to sacrifice for him-even when their cause appeared hopeless. And it's the reason he was later chosen as our first president. Washington's stature, you see, is of the biblical kind. When the Old Testament writers judged a leader, it was always in moral, not political, terms. Rulers might conquer a vast empire-but if they neglected their spiritual duties, they were dismissed as men who "did what was evil in the sight of the Lord." Let's make a resolution. Next year for Washington's birthday, instead of rushing out to the malls, let's teach our kids that Washington was not just our first president, but a man of moral excellence. Teach them that they should seek after the kind of moral excellence in their lives that Washington personified: the kind that arises, not only from accomplishment, but from character. Otherwise, we may forget why Washington is remembered as "the Father of our Country"-and that would be a terrible loss. 1. 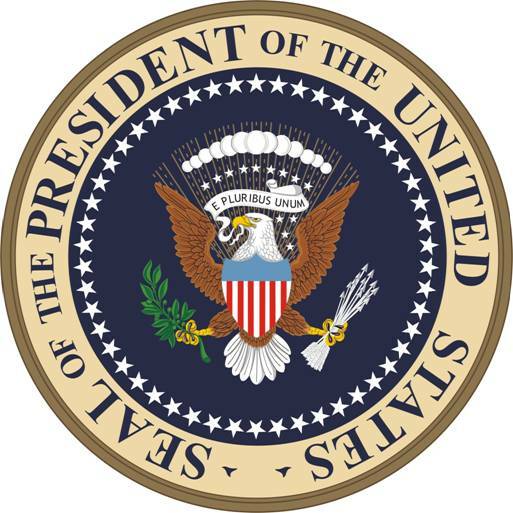 Click here to visit the White House web site and view biographies and pictures of America's presidents. 2. What would our U.S. President be without our First Ladies? Click here to learn about the fascinating ladies who have contributed so much to our heritage. 3. Learn about American Presidents' Christian here. 4. Listen to a great interview about Presidents' Day with David Barton on Moody Radio. 5. Check out this time-line of our Presidents and see videos, read their biographies,speeches, and view photo galleries. Take advantage of this interactive resource. February is a month that holds many historical birthdays. For example, President George Washington was born on February 22, 1732 and President Abraham Lincoln was born on February 12, 1809. In the past, America paused to recognize both leaders' birth dates. Now, it has been consolidated to one day: Presidents' Day. This February, Unite the USA is pleased to present an article called Why Washington is "the Father of our Country" by Chuck Colson. Read insightful tips about how you can learn about our U.S. Presidents and heritage in this month's Action Center. Chuck Colson was the Chief Counsel for Richard Nixon and served time in prison for Watergate-related charges. In 1976, Colson founded Prison Fellowship Ministries, which, in collaboration with churches of all confessions and denominations, has become the world's largest outreach to prisoners, ex-prisoners, crime victims, and their families.